This is certainly a sheer piece of luxury and beauty to do complete justice with your elite décor. Grab whimsy of these design elements to bring something truly glamorous in your room. They have been played really well to set up an interesting landscape on the bedding. Take away boredom from the space with the tint of these charming shades intended to redefine interiors beautifully. 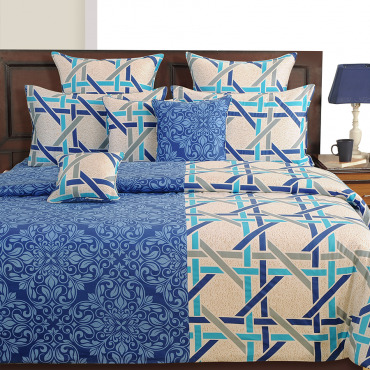 Accompany your fancy dreams with these modern bedding sets having the glory of trendy patterns. 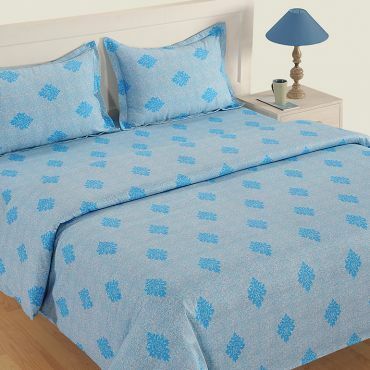 Along with aesthetic value, they deliver superior comfort as well. 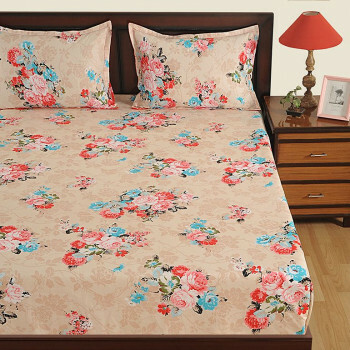 Thanks to the premium grade cotton used to manufacture these super luxurious sheets. 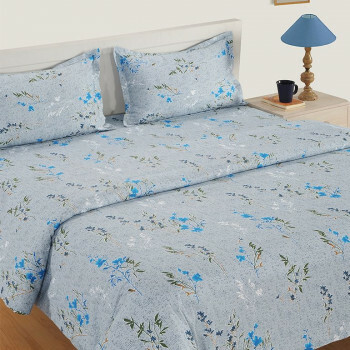 No fabric blends are involved, thus you would not be facing any uneasiness or discomfort lying on these cotton bed sheet sets. Already tested for color bleeds and shrinkage, they are perfect for daily use. Don’t hesitate to give them a machine wash with mild detergent. Keep them away from direct sun exposure and you can enjoy them for longer. 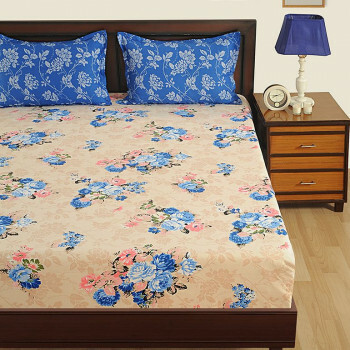 Buy pretty pink caramel bed sheets from our online portal swayamindia.com and see your bedroom turning into a beautiful paradise soon. In irregular fashion, designs are used all over yet making a style statement all together. 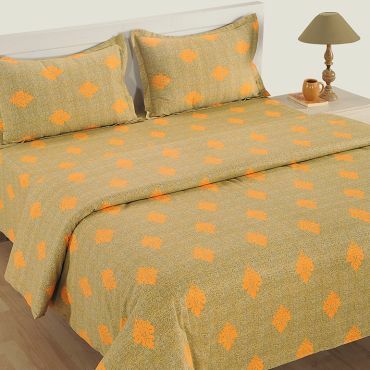 Take cues from this bed linen to turn on the oomph factor of your room. Along with coordinated decorative accents strike a symphony that keeps you indulged into this bright setup. 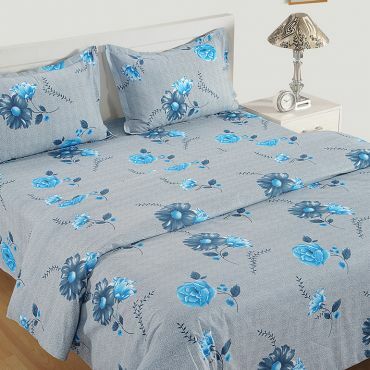 Elegant and sophisticated, it’s a smart piece to give your room a designer feel at decent prices. All fashion conscious homemakers should give this artistic creation one try to rediscover the lost charisma of the room. 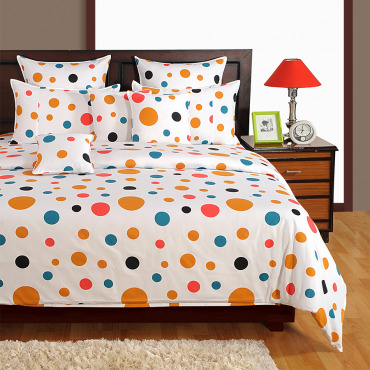 Investment in these modern bedding sets is worth value that you can certainly agree after a use. 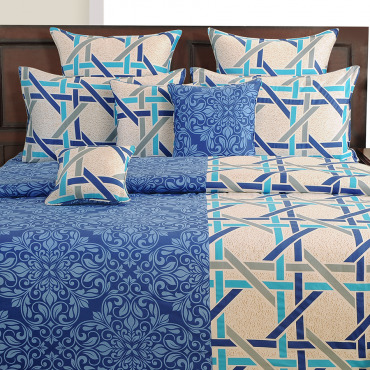 Diagonally placed artistic motifs are ready to spark magic on the bedding. So, decorate interiors with a distinctive edge to create an inviting ambiance. 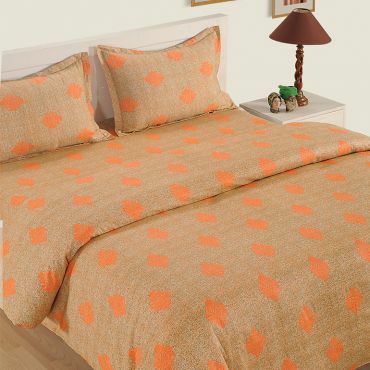 Imitate them all over the room using carpets, cushion covers, comforters, curtains etc for a gorgeous makeover. 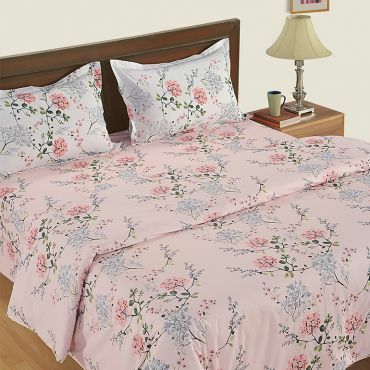 Spread the cheerful vibes secretly hidden within the tinge of light pink and brown to finally be in love with your room setting.